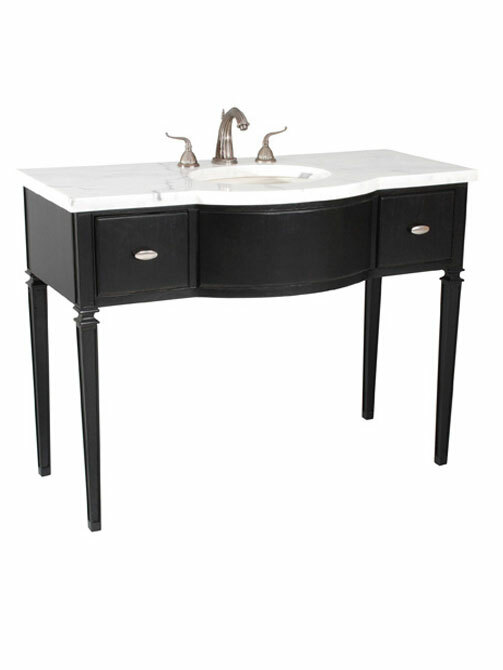 The 47.5" Mesa Single Pedestal Bathroom Vanity is the ideal choice for anyone who values simplicity, elegance, and beauty. 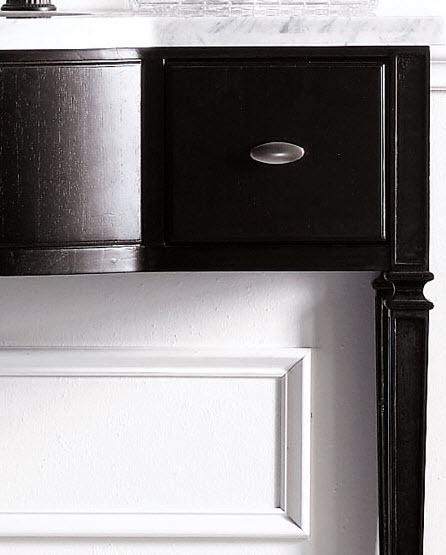 The cabinet stands all tall, slender legs, which are an elegant alternative to bulkier, more traditional vanities. The rubbed black finish is complemented by the Gioia white marble top and backsplash. Two drawers provide storage. 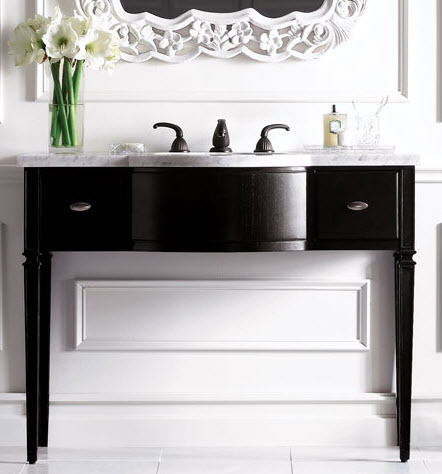 This vanity is a unique choice, but any home or business can benefit from the statement it makes. Installed with a white porcelain sink.